Center is a Swedish milk chocolate bar filled with caramel. 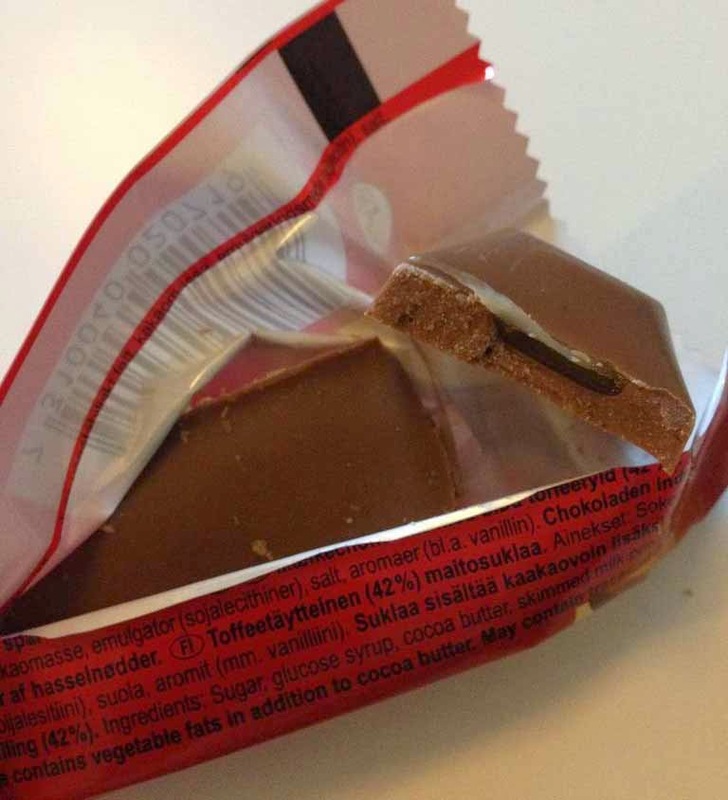 It's made by Swedish candy manufacturer Cloetta which also makes the similar chocolate Plopp, known in UK (I think). Both Center and Plopp are milk chocolates with caramel fillings but the main different is that the sugar content is higher in Plopp and the filling is denser in Center. The smooth milk chocolate blends well with the caramel, which tastes more of sugar than toffee. My only complain about it is that (as pointed out before) the caramel isn't gooey but thick so you don't get the fluidness typically associated with caramel. I was about to say Center have a lovely samiak (liquorice) chocolates too, they're in the shape of Rolos! But looking through your blog I've seen lots of liquorice chocolates, I do hear they are popular in Scandinavia!